The application in Italy of the Convention concerning discrimination in respect of employment and occupation. The Convention concerning discrimination in respect of employment and occupation, adopted by the General conference of the International Labour Organziation, entered into force in Italy on 1963. According to the Convention, each Member State undertakes to declare and pursue a national policy designed to promote, by methods appropriate to national conditions and practice, equality of opportunity and treatment in respect of employment and occupation, with a view to eliminating any discrimination in respect thereof. (b) such other distinction, exclusion or preference which has the effect of nullifying or impairing equality of opportunity or treatment in employment or occupation as may be determined by the Member concerned after consultation with representative employers' and workers' organizations, where such exist, and with other appropriate bodies. Any distinction, exclusion or preference in respect of a particular job based on the inherent requirements thereof shall not be deemed to be discrimination. For the purpose of the Convention the terms employment and occupation include access to vocational training, access to employment and to particular occupations, and terms and conditions of employment. 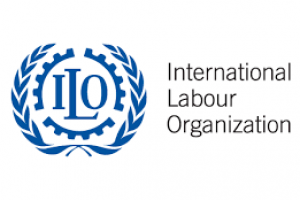 Special measures of protection or assistance provided by other Conventions or Recommendations adopted by the International Labour Conference shall not be deemed to be discrimination. If you need a lawyer in Italy, don't hesitate to contact us.